This year’s Men-no-kai Noh mask carving exhibition took place at the Kyoto Prefectural Center for Arts and Culture 28th-30th November. Among others three INI members, INI Senior Director Rebecca Teele Ogamo (USA), Kim Hea-Kyoung (South Korea), and Elaine Czech (USA) exhibited their latest works. 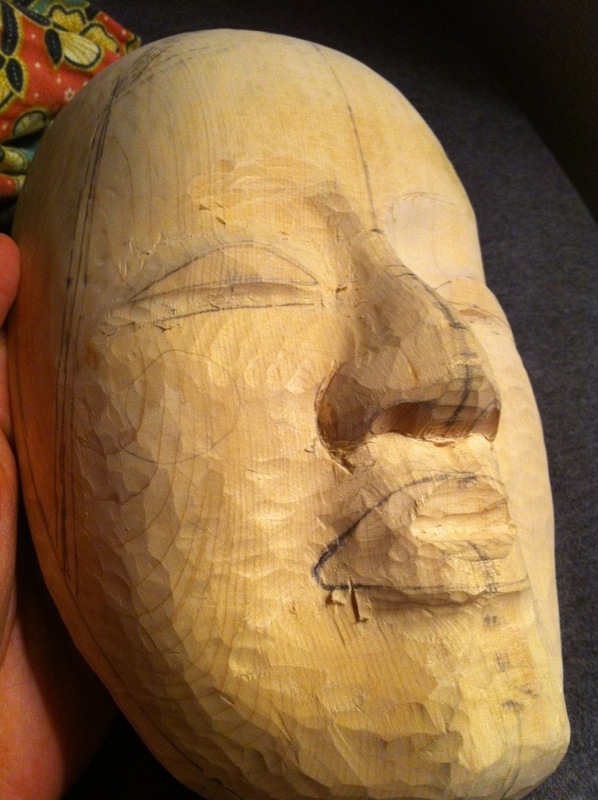 After chūjō, the mask I used for Kiyotsune in June 2013, Hea-Kyoung is working on a new mask. Can you tell kind it is? Last Sunday I attended the Seiran-Noh, a regular performance organised by Udaka Michishige, also featuring his two sons, Tatsushige and Norishige. This year Udaka-sensei and his elder son Tatsushige performed the Noh Futari Shizuka. The tsure part in this play is particularly challenging, both because it portrays a common woman who is possessed by the spirit of Shizuka Gozen, entailing a change in the interpretation of the character, and because of the aimai, the synchronised dance performed by tsure and shite, two identical characters, respectively a woman possessed by the spirit of Shizuka (tsure) and Shizuka herself (shite). 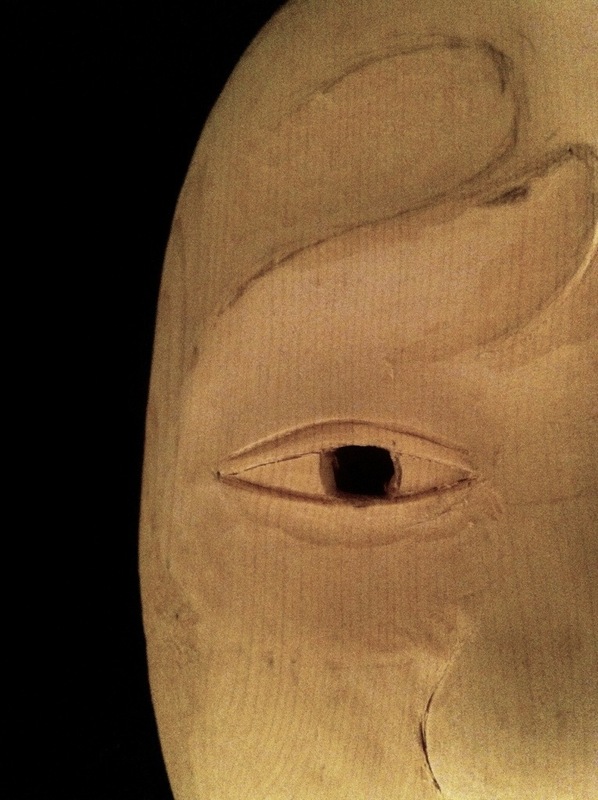 Most masks we use in Noh seriously hinder sight, so that the actor completely loses peripheral vision. You can imagine how hard synchronised dance can be when you cannot see your partner, and music does not follow a metronome. I was astounded not only by the precision of shite and tsure, but also by the sense of harmony that father and son naturally created on stage, which was all the more interesting if considered within the context of the play. Watching the two Shizukas on stage, and knowing the difficulty of dancing in such condition, I couldn’t help thinking how each of us has a double, another ‘me’ (or ‘you’) whom we know exists, even though we cannot see it. 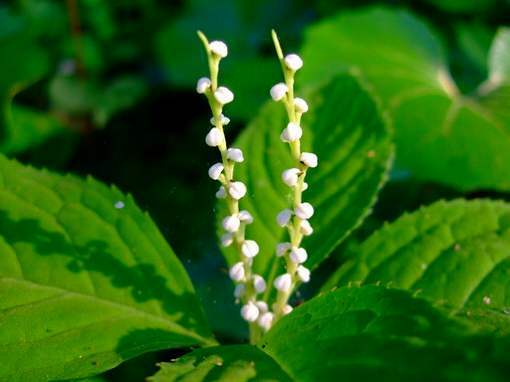 Most importantly, we cannot control it. It will dance close to you – you will hear the sound of its breath and steps – but you cannot clearly visualise it except for some fleeting instants, between the darkness of the mask and the light of the stage. The only thing you can do is adapt to it, or hint at a movement, hoping that it will adapt to you. is the theme of this year’s UDAKA Michishige Men-no-Kai Noh mask exhibition. 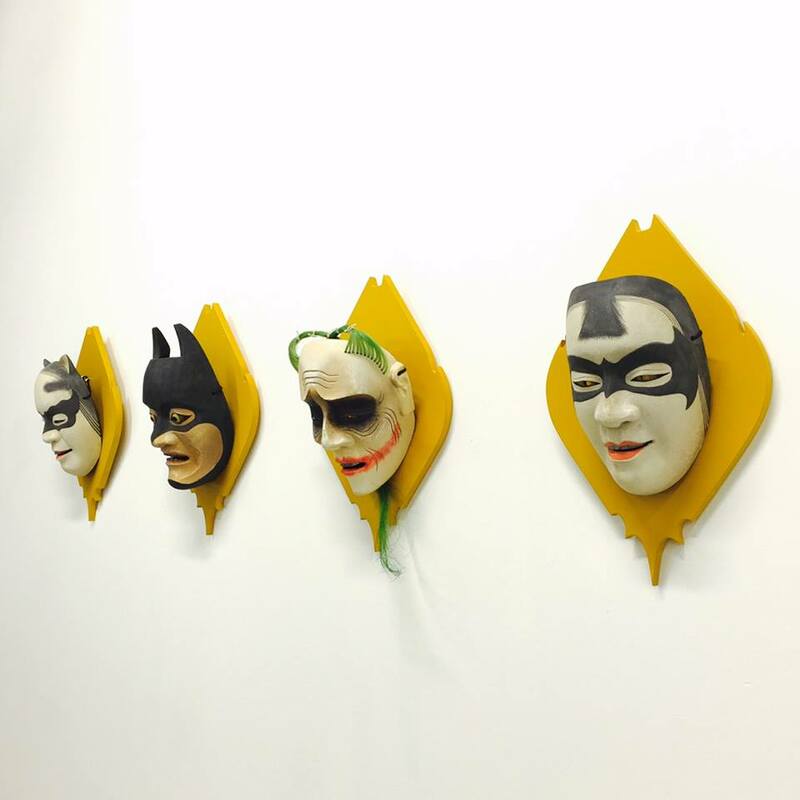 The 14th edition of the exhibition will feature works of Master-Actor UDAKA Michishige, possibly the only Noh actor who is also a professional mask carver, as well as several masks carved by his students. the exhibition will open tomorrow Tuesday 27th November and close on Thursday 28th November. 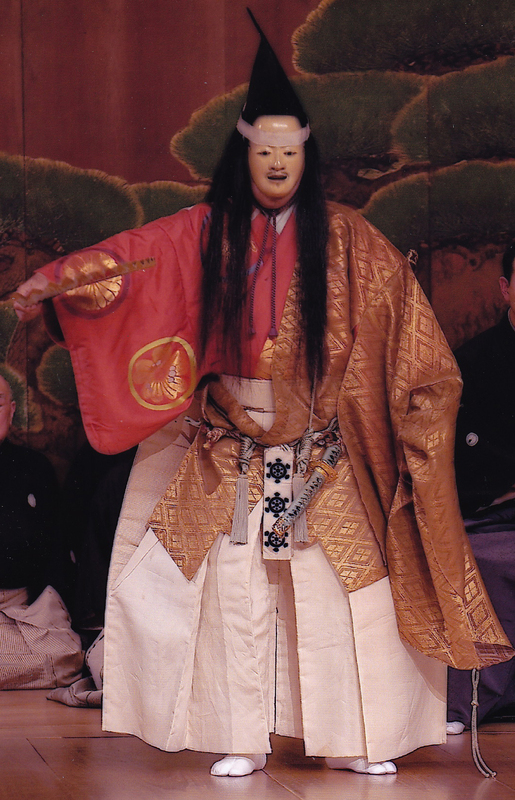 Wednesday at 13:30 it will be possible to attend a talk by UDAKA Michishige and a Noh costuming demonstration. See below for more details and access information. UDAKA Michishige’s work as Noh mask carver has been collected in various picture books, among which The Secrets of Noh Masks published by Kodansha International.